Our product range includes a wide range of festool portable edge bander, portable edge banding machine, workshop edge bending machine, semi automatic curvilinear edge banders, vitap semi automatic curvilinear edge banders and homag manual edge banding machine. 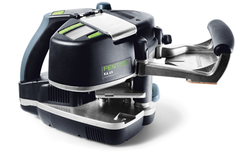 The new Festool Portable Edge Bander with system accessories together with the new Basic MFK 700 edge router, the new stationary unit for small workpieces and mitre cuts and the VAC-SYS vacuum clamping system for reliable work without leaving scratches. 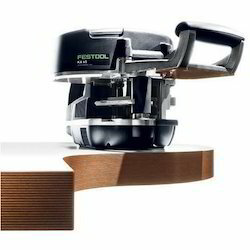 Festool also offers matching accessories such as EVA adhesive, a trimming machine, edging holder, patented scraper and additional roller. 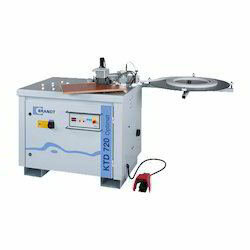 We are offering a wide range of Edge Bending Machine. •Fast set-up: Glue is heated rapidly and evenly by the resistances located in both the glue pot and inside the glue spreader roller. Practical gluing unit. •Two rollers press the edge evenly and efficiently onto the panel. 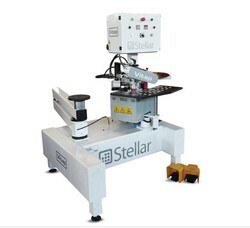 The pressing unit position is comfortably adjustable from the machine front side. 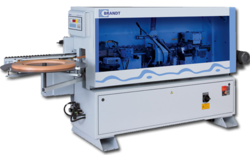 Always clean, precise cut on the leading and trailing edges of the panel assured by the pneumatic end cutting unit. •Edge trimming top finishing with the trimming unit operating at a cutting speed of 12.000 rpm. •Total control of all the machine’s functions, quickly and intuitively. •With the PLC it is possible to easily and comfortably exclude the shear and the end cutting unit to allow also edge banding with wooden strips of the maximum thickness of 5 mm. 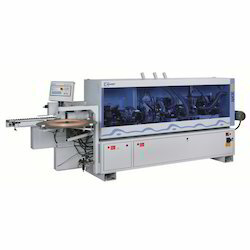 The HOMAG Manual Edge Banding Machine has a gluing system, which applies the glue directly onto the edge banding material. The panel is placed on height spacers, which are fixed on the working table, according to the shape of the panel. 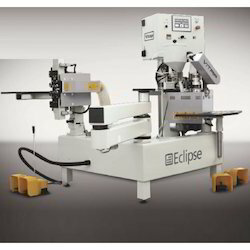 Because of the flexibility of the NKD 720, shaped parts and straight parts can be processed easily on this machine. The flexible solution for shaped parts for gluing of straight edges and irregularly shaped workpieces with internal and external radius benefits you can count on. 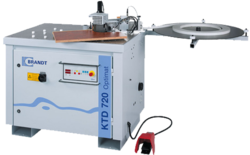 The Manual Edge Banding Optimat NKD 720 has a gluing system, which applies the glue directly on to the edge banding material. The panel is placed on height spacers, which are fixed on the working table, according to the shape of the panel. 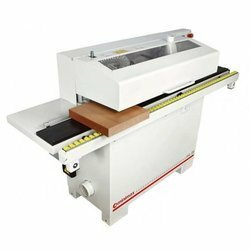 We are offering a wide range of Wood Edge Banding Machine.